Field bindweed is a Eurasian native that arrived in Virginia in 1739, probably in contaminated seeds. It was well-established in the eastern U.S. by 1800, documented in California in 1884, and had moved into all of the western states by 1900. Today, it grows in every area of the United States and Canada. 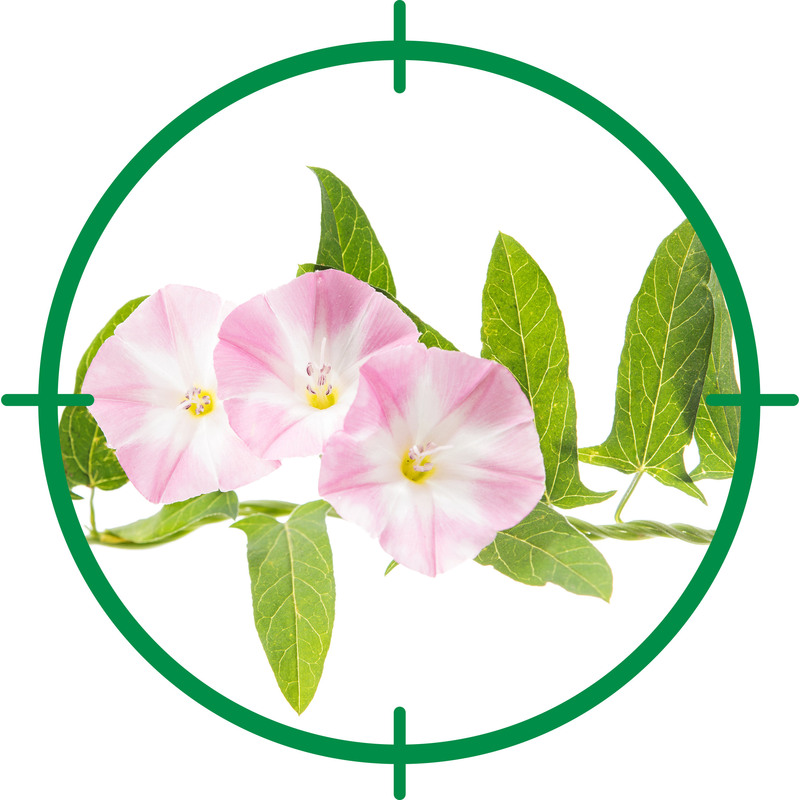 You may know field bindweed as creeping jennie, field morning glory, perennial morning glory, possession vine, sheepbine or bellbine. Whatever you choose to call it, be prepared to dedicate a lot of time and energy over several seasons if this persistent weed has invaded your landscape. 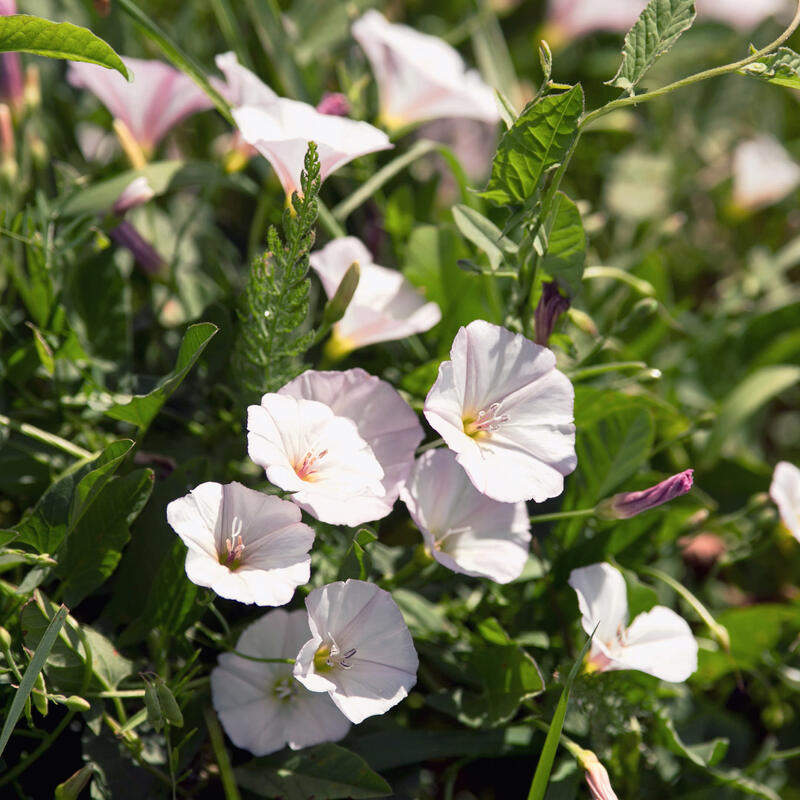 Field bindweed is a member of the morning glory family, and the pale pink or white, trumpet-shaped blooms are similar. The dark green leaves are usually arrow-shaped, although they may have more rounded bottoms. 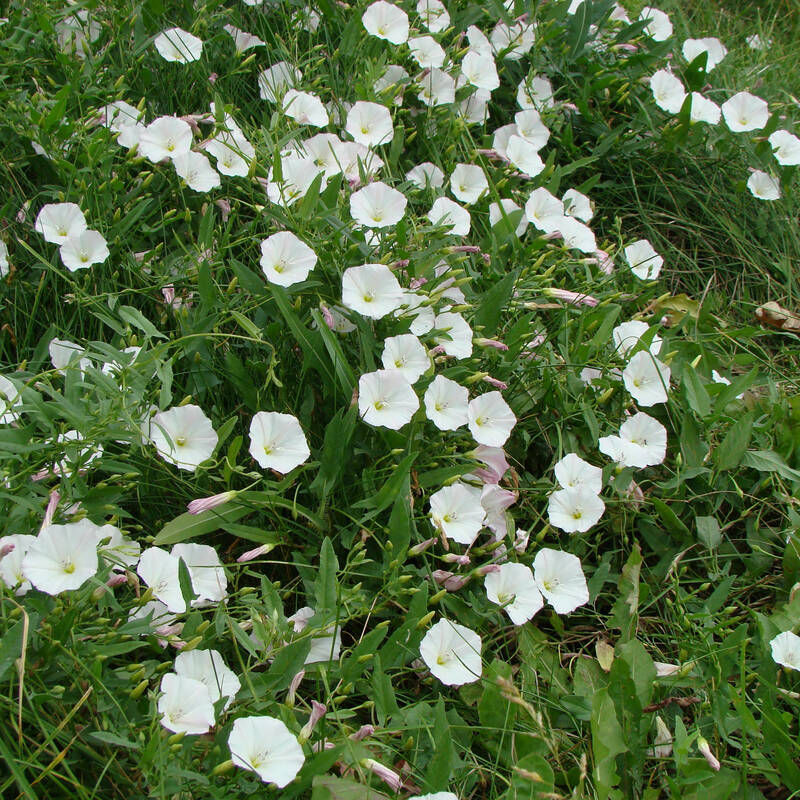 Although there aren’t a lot of places where field bindweed won’t grow, it is commonly found along streams and roadways, as well as grasslands, fields, vineyards, gardens and lawns. Field bindweed creeps along the ground unless the twisted, vining stems find something to climb, such as a tree, fence, shrub or grapevine. Hand-pulling is an important aspect of comprehensive bindweed control, but it requires repeated sessions over the course of three to five years. Burn pulled plants or dispose of them securely so the seeds can’t escape. Cultivate the soil as often and as deeply as possible, using a tiller or a garden fork. Mow your lawn regularly to prevent vines from going to seed, but keep in mind that mowing doesn’t always work because the vines lie so flat against the ground.